This book (and supplement ), based in large part on the Fibonacci Numbers and the golden ratio(or golden mean) has grown to be a math teaching classic and a resource book for teachers, homeschooling parents and other interested adults in its 24 years of existence. It is still widely used and purchased. There are links below for more golden ratio info also. The Mystery Tour has been used by many thousands of youths and has inspired adults to a greater appreciation of the secret number language of nature. It is multidisciplinary, ranging through realnumerical phenomena in history, biology, physics, architecture, art, astronomy, and mythology. It is visual and hands-on but requires deep math thinking. The activities are on black-line masters. Every few masters are accompanied with teacher pages that give answers, notes, and activity extensions so that the teacher never needs to be caught “flat-footed” with this rather unusual mathematical material. And get ready to embrace the spiral/helix as a new friend. If you need just the Tour Guide Newspaper download information, here is the info: Because this valuable guide and adjunct to the book is not included in many discount copies of the book sold on the net, you will be charged $8 for obtaining this feature from Mark Wahl Learning Services (call 360-221-8842 to special order it). It is, of course, included free with copies of the book sold here. 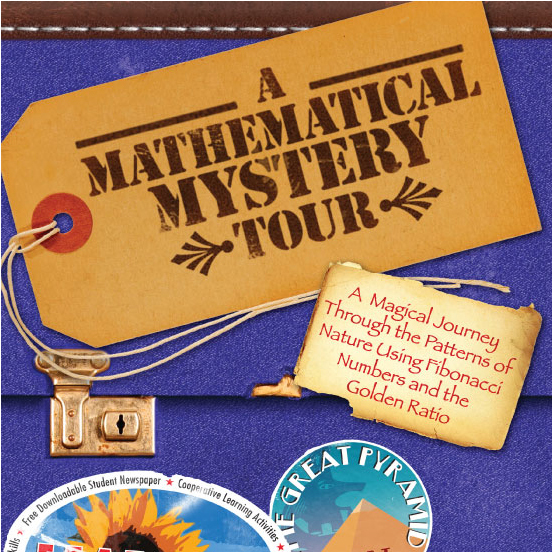 More about the book: The Mystery Tour is no set of scattered “bytes” of math. Rather it is a unified, unfolding journey with ideas linked together by the well-known Fibonacci Numbers and the celebrated Golden Ratio. (An enclosed mind-map of the whole book is a spiral!) After some math effort a student can begin to see how bees are linked to the Great Pyramid in Egypt, how pine cones are linked to our DNA, and how a Greek vase is linked to the earth-moon relationship. (Now in the 2001 supplement there are connections to fractals, the stock market and the musical scale). These are not just poetic math metaphorsæthey are real, undeniable, numeric trails that leave the learner with goosebumps. 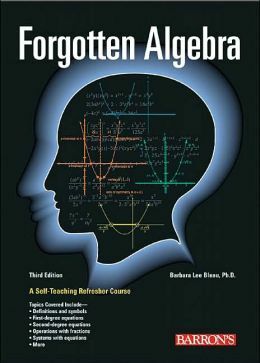 Many pre-algebraic, early algebraic, and geometrical math skills are exercised and conceptually expanded in the process. The new supplement takes skills further into algebra. Some skills used are calculator skills, mental math, infinite processes, numerical patterns, powers of numbers, ratios, metric measurement, graphing, degree measurement, triangle areas, and geometric design. 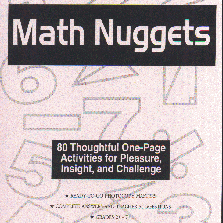 The 2001 Supplement has another 22 activity pages that bring the Mystery Tour into the 21st Century and span from middle grades to high school : mysterious numbers connected to fractals, the stock market, the musical scale and more! 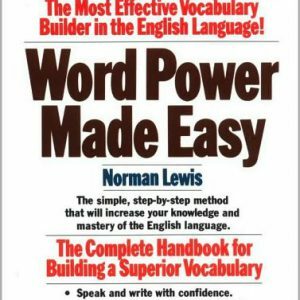 Book: 8.5 ×11 in., 256 pp. Newspaper: PDF download form+ Supplement: 8.5 × 11 in., 22 pp. Special “Complete Set”-Save $2.00: Book + Tour Guide Newspaper URL + Supplement = $35.95. [Whole set Shipping & Handling by Media Mail = $6.50]. or just order and they will be automatically computed. Buy now. If you need just the Tour Guide Newspaper download information, contact mathman@markwahl.com to get the URL. You may be asked to verify your ownership of the Mystery Tour book. 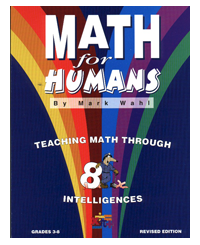 Order these custom items on the by phone (360-221-8842) or ask by email at mathman@markwahl.com.